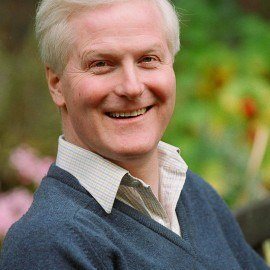 Robin Griffith-Jones is The Reverend and Valiant Master of the Temple at the Temple Church, London, and Senior Lecturer at King’s College London. The Temple Church, built 1162-1240, is one of England’s most historic buildings: its Round Church is based on the Holy Sepulchre in Jerusalem; King John and the Barons negotiated Magna Carta in the Temple, 1214-5. In his more purely academic writing, Robin has co-edited The Temple Church (Boydell, 2010) and Tomb and Temple: Re-imagining the Sacred Buildings of Jerusalem (Boydell, 2018). The Temple is the professional home to half the judges and barristers in England and Wales. Robin has also been responsible for Islam and English Law (CUP, 2010) and Magna Carta, Religion and the Rule of Law (CUP, 2015). The Temple Church and its Master feature in The Da Vinci Code; Robin became and remains, much to his own surprise, a TV and radio pundit on the novel in the UK and USA. 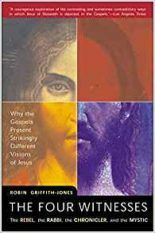 The Four Witnesses: The Rebel, the Rabbi, the Chronicler and the Mystic (Harper SF, 2000) takes each of the four biblical gospel on its own terms and shows how and why they present strikingly different visions of Jesus. 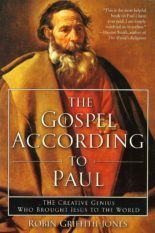 The Gospel According to Paul: The Creative Genius who brought Jesus to the World (Harper One, 2004) tells the almost unknown story of the mystical Paul; the book was described by Huston Smith as “the most helpful book on Paul I have ever read”. The Da Vinci Code and the Secrets of the Temple (Eerdmans [USA] and Canterbury [UK], 2006) continues after twelve years to sell steadily as a warm-hearted but direct critique of the novel. 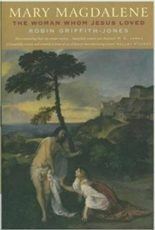 Mary Magdalene: the Woman whom Jesus loved (Harper One [USA] and Canterbury [UK], 2008) was published to enthusiastic reviews by Salley Vickers, P.D. James and others; it follows Mary Magdalene’s fortunes as a symbol of femininity and of the human soul from the New Testament on through the Gnostic texts and the middle Ages to the present day.